Pietra di Luna е гидовник за скално катерене в Сардиния и включва повече от 3600 единични спортни маршрута из целия остров. Гидовника обхваща популярни райони като Cala Gonone, Domusnovas, Isili, Jerzu и Baunei. Общо описва 20 главни катерачни района, 176 сектора и повече от 3600 маршрута. At the start of each rock climbing area/crag there is a general description detailing the character of the climbing to be found. There is also approach/access information, the type of rock, how good the bolts are, and the best time of year to climb. 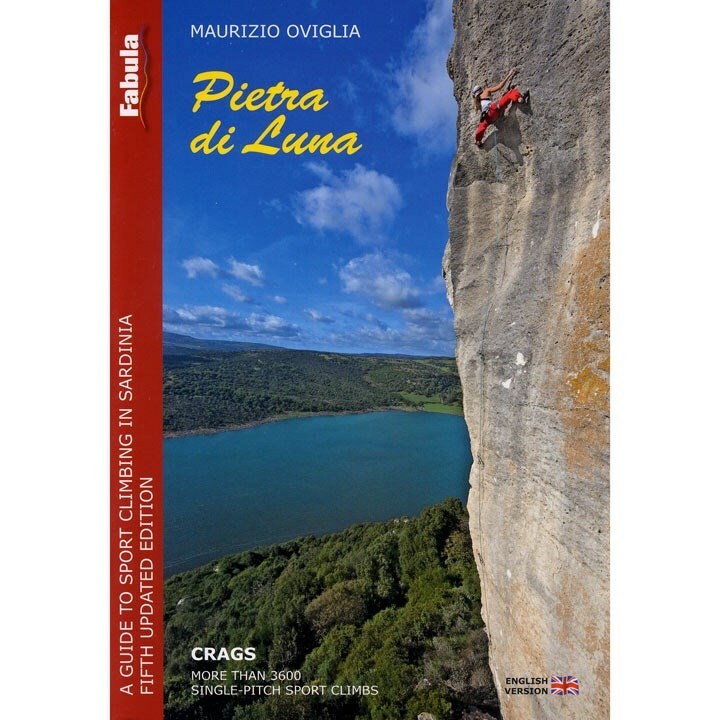 This guidebook has many stunning action photographs (on virtually every page), which show the style and character of the fantastic rock climbing to be found in Sardinia. Published in October 2011 (5th Edition) this guidebook is written in English text. All of the routes are illustrated on colour photo-topos, with French sport grades used throughout.